In 1991, towards the end of his run on Wonder Woman, which revitalized the character, George Perez pitched a five-part mini-series entitled War of the Gods. It was meant to be a celebration of Diana's 50th anniversary and was also meant to be the big crossover that year. ...for sole ownership of Olympus. 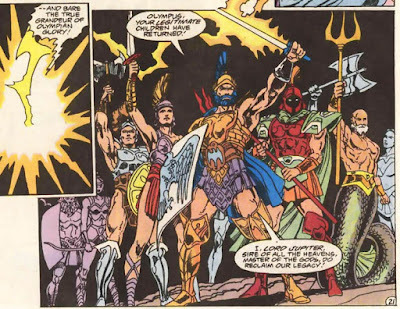 Needless to say, superheroes get caught in the middle, with Diana protecting her heritage and Captain Marvel being roped in to fight for the Romans. 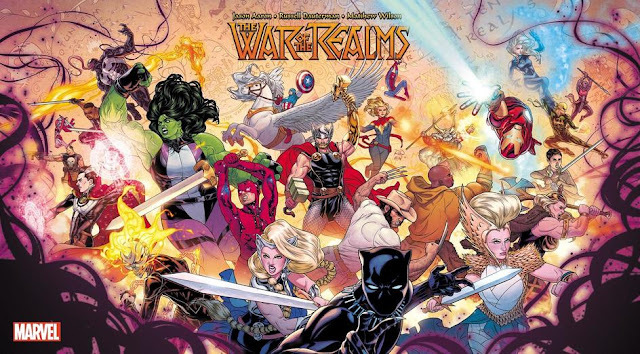 And it features gods of other pantheons, including the Aesir, so this includes DC's versions of Thor and Loki. 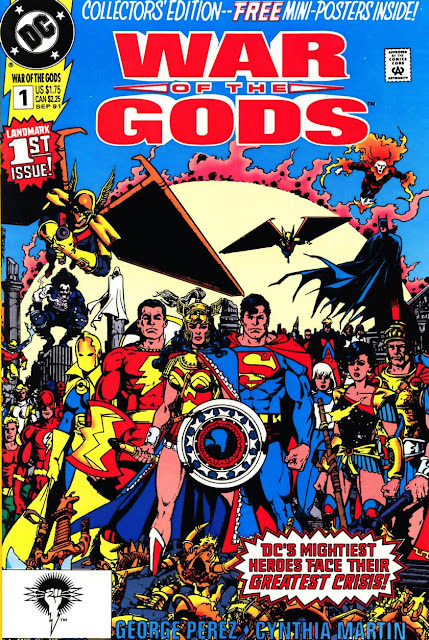 And of course, all the gods in the DC Universe include the New Gods. Turns out, the one manipulating everything is Wonder Woman's arch-enemy Circe, she of Greek myth who turns men into animals. As you can tell, this is a Wonder Woman vehicle. And unfortunately, it underperformed both commercially and critically. There are several reasons that contributed to this, but really, the main one is simply a lack of support from DC Comics. 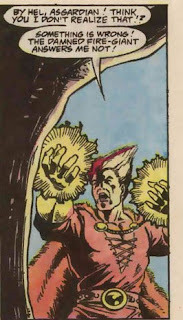 George Perez was writing and drawing layouts, and he got derailed. Things in his professional and personal lives were distracting him, and he also took on an extra project over at Marvel. It was called Infinity Gauntlet. You may have heard of it. On the other hand, it gave us this awesome cover. 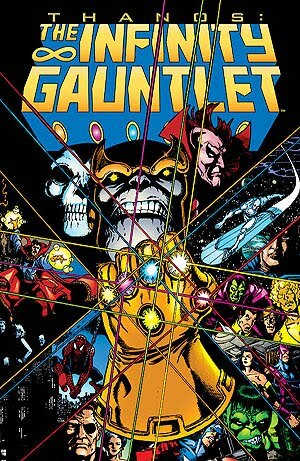 Perez couldn't put in full effort on War of the Gods, nor could he even finish Infinity Gauntlet. 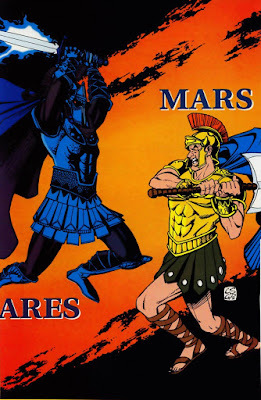 One of the reasons he was so demotivated was because he had worked out a detailed plan for how War of the Gods would cross over with the main DC Comics titles, only to find out too late that the plans weren't even communicated properly to the creative teams. 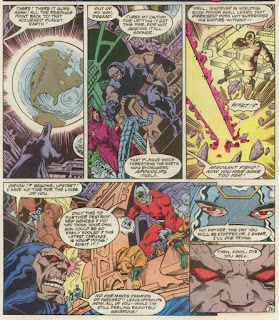 In fact, his close friend and New Teen Titans collaborator Marv Wolfman had to find out from Perez himself — and by that point, Marv was in the middle of a storyline involving Wonder Woman's younger sister Donna Troy, and War of the Gods was the storyline equivalent of throwing a monkeywrench into the works. 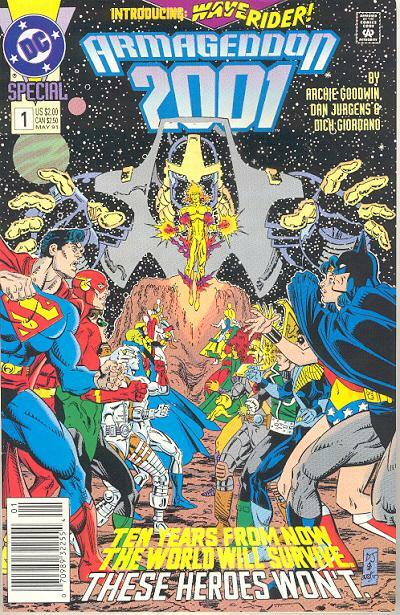 The lack of editorial support was evident when DC made this their big 1991 event push instead. Armageddon 2001 centered around a new villain named Monarch coming from the future. The only thing known about Monarch is he's a former hero, and the storyline is centered on finding out who he is, with the main suspect being Captain Atom. At the end, it's revealed to be Hank Hall, the Hawk of Hawk and Dove. That was DC's big event of 1991. Let me just clear that up: DC Comics pushed a glorified time-travel whodunnit starring Captain Atom and Hawk over a literal WAR OF THE GODS that centered around Wonder Woman. The reason for this lack of support is simple: Karen Berger, then-editor of Wonder Woman and yet-to-be future editor of DC Comics' legendary Vertigo line, and still a ways away from being the Third Greatest Comics Editor of All Time, went on maternity leave. And that's when it was made obvious that all the support Wonder Woman was getting from within centered around one female editor, and that the rest of the company still saw female-led comics as a hard sell. Hopefully, with Wonder Woman being a huge box-office success, we'll have moved past that mindset and we can see more risks like this in the future. 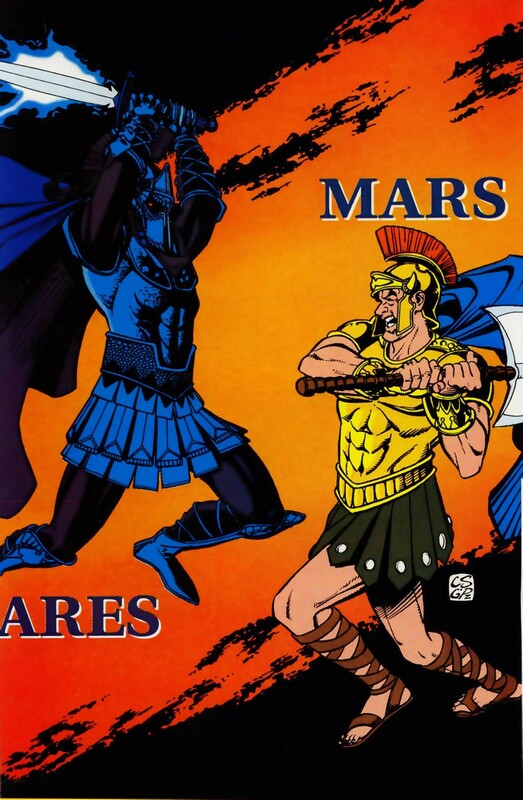 I'd be cool with seeing War of the Gods completely remade. Just have the same exact premise and tell it now, in 2017. How badass is this image? This is the cover for the first issue. Unfortunately, this is the best it got.